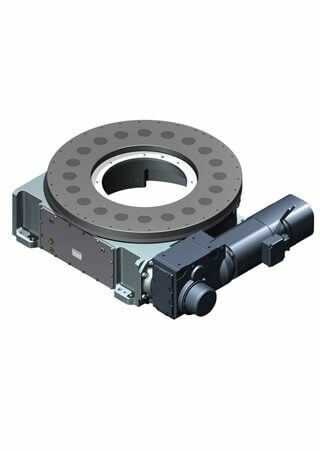 Our LazerArc line offers four differet types of Single Axis positioning systems. Each of these systems are capable of fitting into your automated robotic systems, whether it is a material handling job, paint or welding application. Each unit to be equipped with adapters to fit your specific robot or servo motor requirements. All sizing will be performed by our engineering team. RT, TMF and TSR series offered in 14 different sizes from handling inertia loads of 1.0 kgm2 or less, up to several 100,000’s of kgm2. These tables are offered in a fixed number of stations or as a flexible turntable with a servo motor or standard AC brake motor with encoder. All sizing of our rotary tables and proper sizing of robot and servo motors will be performed by our engineering team. TR series offered in 4 different standard sizes for handling payloads of up to 15000 lbs. at an offset center of gravity of 100 mm. The headstock and tailstock trunnion sets utilize a high precision (less than 1 arc second) planetary gear system mounted in a vertical position complete with mounting plates. 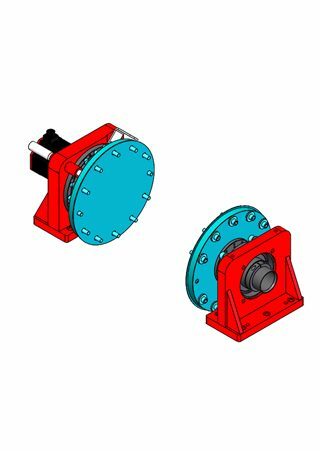 TR series Trunnion Index Drives are ideal for moving large masses with smaller units and minimizing your equipment’s footprint on the floor. All head and tail stock positioners can be ordered with standard or custom frames fully equipped with head and tailstock supports and one-piece base weldments. Our adjustable welding positioners are custom engineered solutions that are capable of handling payloads of up to 15000 lbs. or more at an offset center of gravity of 100 mm. 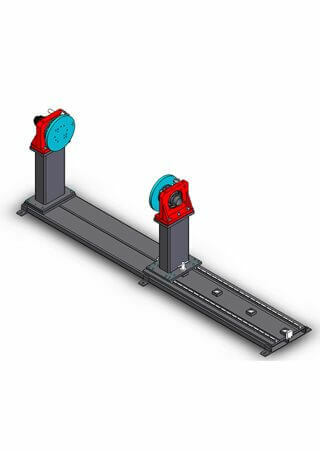 Our Single Axis Weld Positioning Systems are engineered specifically for your needs. The complete robotic head and tailstock positioning system solutions we provide utilize our standard, high-reliability and precise indexing equipment with custom weldments that exceed our customers’ expectations. 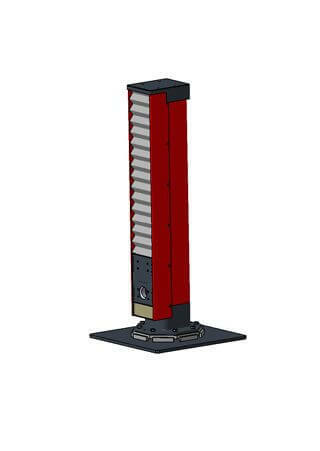 Cam driven precision lift units are custom engineered solutions that are capable of handling extremely heavy loads in a very smooth controlled manner. Each unit to be equipped with adapters to fit your specific robot or servo motor requirements. Designing and engineering will be done to meet customers’ requirements and expectations. ILM Tool Tray Shuttles are custom engineered solutions that are capable of handling extremely heavy loads in a very smooth controlled manner. 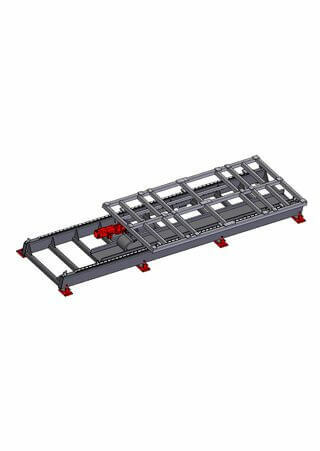 Our Linear Tool Tray Transfer Systems combine excellent accuracy using the highest precision guide rails, rack and pinion system and closed loop motor control system with high index speed capability with versatility to meet any automation challenge. Designing and engineering will be done to meet customers’ requirements and expectations.